"Her ultimate legacy is the start of a scientific revolution." 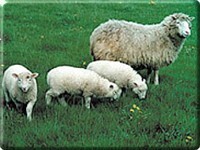 Dolly made headlines in papers all around the world when she was born on 5 July 1996. 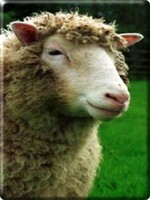 This Finn Dorset sheep was the first mammal in the world to be cloned from an adult somatic cell by a process of nuclear transfer. 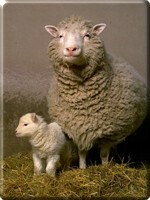 Dolly was cloned by scientists Ian Wilmut, Keith Campbell, and their team at the Roslin Institute in Edinburgh, where she lived her entire life. Because Dolly's donor cell came from the mammary gland of an adult female, she was named after Dolly Parton, the country-western singer famous for her large bust. 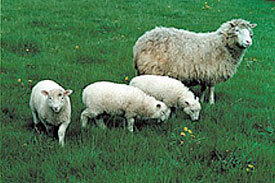 Dolly was bred with a Welsh mountain ram named David and produced six lambs over a course of three years: Bonnie, her first lamb, was born in 1998; Sally and Rosie, twins, were born in 1999; and the triplets, Lucy, Darcy, and Cotton, came in 2000. The next year Dolly began to suffer from arthritis in her legs, but was successfully treated with anti-inflammatory medicine. 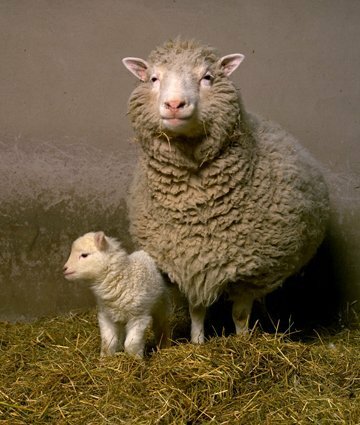 Although the life expectancy of a Finn Dorset is 11-12 years, "the world's most famous sheep" 1 was euthanized on 16 February 2003, at the age of six, after deteriorating from a progressive lung cancer common to sheep kept indoors. As dubbed by Scientific American. 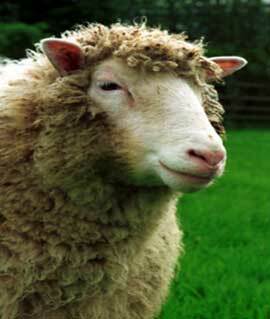 "Dolly the sheep clone dies young." BBC News: World Edition. 14 February 2003.